When the AgustaWestland scam erupted in May this year both inside and outside of Parliament, I wrote that "the two-term regime of the UPA… left behind a sprawling trail of institutional destruction.” Former Air Chief S P Tyagi’s arrest by the CBI in connection with the same case must be viewed in this light. While this is the first time a former Air Chief has been arrested, and as unfortunate as it is, it raises several important points. The first is obviously, the industrial-scale compromise of institutions at the highest levels, a case of the proverbial fence preying on the field. It appears that no institution has been spared of the toxic game of political favouritism. Equally, those that don't play this game have their professional and personal reputations sullied— among other damages— as the case of the former CAG Vinod Rai shows. Or, closer home, the fact of how General V K Singh was hounded because he took on the omnipotent arms lobby. With huge contracts and high secrecy, the defence sector poses unique corruption risks. In 2010 alone, the sector as a whole spent the equivalent to Russia or India’s GDP, but how much of that money can we follow? We estimate at least US$ 20 billion is lost to corruption in the sector every year. And that is only a modest estimation of the costs incurred when national security concerns become a veil to hide corrupt activity. Single source contracts, unaccountable and overpaid agents, obscure defence budgets, unfair appointments and promotions, and many more forms of corruption in this secretive sector waste taxpayer funds and put citizens’ and soldiers' lives at risk. When we closely examine the timeline of the AgustaWestland case, most of these factors strike as eerily familiar, almost like checkboxes that one can tick off. If a former Air Chief staff can be arrested on grounds of accepting dirty money to broker a deal, the point is really not about his guilt or innocence — the point is more about how he even allowed fingers to be pointed at him. Tragically, the timeless truth in “Caesar’s wife should be above suspicion” hasn’t rung true in this case. But he isn’t alone: Wikileaks cables reveal how back in the 1970s, Rajiv Gandhi acted as a negotiator lobbying on behalf of the Swedish Viggen fighters. The then Air Marshal OP Mehra’s son-in-law Navin Behl was alleged to be lobbying on behalf of Viggen’s competitor, Mirage. Indeed, the aforementioned timeline investigations reveal quite a bit. The most crucial of these revelations is the fact that but for the 2012 expose of this corruption in the Italian media, the AugustaWestland deal would have been successful with none the wiser. Bears an uncanny similarity with the Bofors arms scandal that was first reported on Swedish radio, doesn’t it? Let’s also not forget the fact that the same Tyagi was referred to as a "gorgeous girl" by shady arms dealers, a shameful epithet that this Firstpost piece says "reduced him to the level of a gangster's moll, a Mona Darling to Lion." There’s just no other way to put this: it’s a matter of national shame that the highest officer of India’s key defence arm should subject himself to such epithets. The other curious fact is the inexplicable involvement of Tyagi’s cousin, Sanjiv Tyagi in the deal, who too, was arrested by the CBI on Friday. At the very minimum, this should’ve raised questions concerning conflict of interest.Then there’s the matter of their lawyer-businessman-friend, Gautam Khaitan who was arrested as well. This is not his first arrest though: in September 2014, the Enforcement Directorate (ED) arrested him on allegations of kickbacks in the Rs 3,600 crore deal. 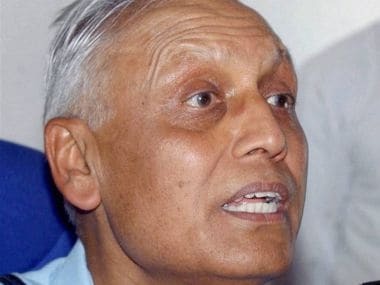 It could also be argued that Tyagi has become a political scapegoat while the real movers and shakers party on unharmed. Yet, the involvement of Sanjiv Tyagi and Khaitan (who was on the board of Aeromatrix, a front company through which the chopper deal money was routed) tells a different story. In a way, Tyagi’s arrest is the culmination of the process that began with the FIR that the CBI filed against him in March 2013. 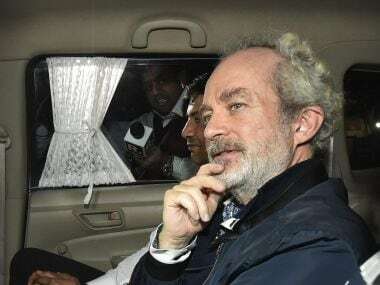 At the moment, the name of the other key player in the sordid deal, Christian Michel, does not figure prominently. But it has once again underscored the powerful and dangerous clout of the arms lobby in the highest corridors of power, some contours of which were revealed by defence minister Manohar Parikkar. Indeed, the role of the arms lobby is a recurrent theme in the case of arms lobbyist Sanjay Bhandari, a once-obscure businessman who swiftly gained proximity to the first family members of Congress, including Robert Vadra and Sonia Gandhi. 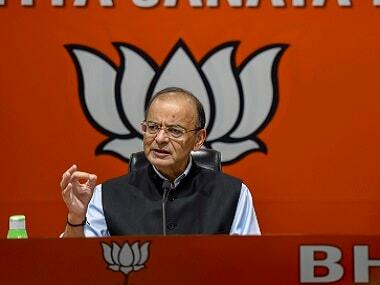 Among his other achievements, his firm OIS lobbied hard with the Defence Ministry and won a Rs 4,000-crore basic trainer aircraft contract on behalf of the Swiss firm Pilatus. And in both cases, the media was on the take. Note how Christian Michel had earmarked about Rs 45 crores to “manage the media,” and Bhandari had done the same, too — a May 2016 Outlook investigation revealed how "a senior, Delhi-based journalist with an English daily is also under the scanner. His call data records show that he made at least 478 calls to Bhandari." Perhaps the real truth about AgustaWestland will never be known but what is undeniable is the impact such sleazy deals have on the morale of the defence forces. It’s akin to how high-level corruption in civilian life sends a signal down to the last peon that it’s ok to be less than honest.What direction the AgustaWestland case takes is hard to predict but the one good thing it has done, similar to what the demonetization effort has done, is to expose the scale, manner, and innovative devices of corruption that had occurred at all levels.